Spoon has everything ranging from the best local restaurants and simple unintimidating recipes to how to navigate your first kitchen and coverage of various food festivals; all written by people under 25. Spoon is powered by student contributors across the world, they now make up a network of over 3,000 contributors at 100 college campuses. 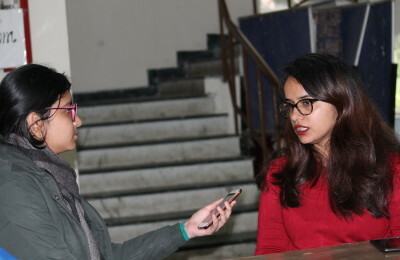 The Delhi chapter was started by Kritika Narula, a student of Indraprastha College for Women, in December 2014. “The decision to start Spoon came as a surprise to me too, but once I came across the concept, it was the most obvious thing to do. As I entered sophomore year, I realised that 1, we are perennially broke and 2, we always want to eat out. Spoon is here to fill that gap bringing all hangout places, recipe hacks to survive in hostels, affordable snacking etc,” she says. At the core is the website, directed by Editor Aakanksha Joshi. The whole idea of Spoon is to build a community of foodies, who enjoy and also learn by dabbling in various roles, from photographers to event managers to writers and graphic designers. They are also currently recruiting for the academic session for graphic designers, marketers, writers, and photographers/videographers.